WASHINGTON — Humanity has long dreamed of visiting Mars, and has made some progress toward that goal in recent decades. But a lot of logistical and biological problems still need to be worked out. NASA is building rockets and spaceships to get people there, and this equipment will be ready soon, Plait said. Indeed, NASA aims to get astronauts to the vicinity of the Red Planet by the mid-2030s. The question is, what's it going to be like on the way? First of all, NASA needs to figure out how to keep people healthy for long periods in zero gravity. Using a rotating spacecraft to produce artificial gravity probably isn't practical, because it would be expensive and require a lot of untested engineering, said Tara Ruttley, a program scientist for the International Space Station (ISS). Instead, scientists will have to figure out how to keep the human body healthy in a microgravity environment for long durations. "We're all beings of the 1-G environment; that's what we're built for. The second you take that away, we become new and changed, and the body is very efficient at getting rid of what it doesn’t use," Ruttley said. This means muscles will atrophy, bone density will decrease and the immune system will become depressed, she added. "We've got to get all these things figured out now with this laboratory that we have in low-Earth orbit," Ruttley said. 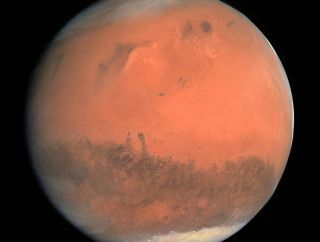 Then there's the radiation: Mars-bound astronauts will be exposed to much stronger radiation in deep space than that found inside Earth's magnetosphere. Some studies suggest that women may be more susceptible than men to the harmful effects of radiation, said Josh Hopkins, a space exploration architect at Lockheed Martin Space Systems in Denver. On the other hand, women are generally smaller and eat less than men, so it may actually be preferable to send more women, Ruttley said. Still, of the more than 500 people who have flown in space, fewer than 60 have been women, so "we don't have a lot of data on women" in space, she added. But say scientists find a way to overcome the challenges of reduced gravity and radiation. What would a typical day be like en route to Mars? "No human has ever been that far away from Earth," said Kate Greene, a freelance science and technology journalist who served as a crewmember during a four-month HI-SEAS (Hawaii Space Exploration Analog and Simulation) mock Mars mission. On a Red Planet mission, the communication delay with Earth could be up to 22 minutes, so the crew wouldn't be able to check in with mission control all the time. To keep themselves occupied, the astronauts would most likely conduct experiments along the way. "Ideally, you want the crew to feel like they're focused on [achieving] something, not just hanging around all day and waiting," Ruttley said. "They've got to feel like they have a purpose." Do astronauts get bored? "No one wants to admit to being bored in space," Greene said. But it's a pertinent question. On the HI-SEAS simulated mission, there was "a ton" to do, "but there was a monotony" in the day-to-day routine, she said. When today's astronauts travel to orbit, their day is highly scheduled. But when they do have a moment of free time, they want to look out the window at Earth, Hopkins said. But on the way to Mars, there's nothing to see out there, and "staring into the void probably isn't the best idea," Greene quipped. Travellers to Mars will likely have strong psyches, which should help them handle the boredom. NASA's astronaut-selection process involves rigorous psychological profiling. The agency picks astronauts unlikely to cause much drama, Greene said, adding, "You don't necessarily want people who would be good on a reality [TV] show." Follow Tanya Lewis on Twitter.Follow us @Spacedotcom, Facebook and Google+. Original article on Space.com.